This is a customized version of a dress from Alexander McQueen's Resort 2017 collection. 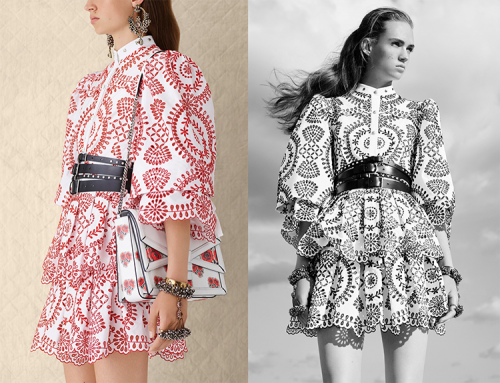 It features red-embroidered eyelet, a tiered skirt with scalloped hem, long sleeves, and delicately painted buttons. Retail: Approximately $5,000.